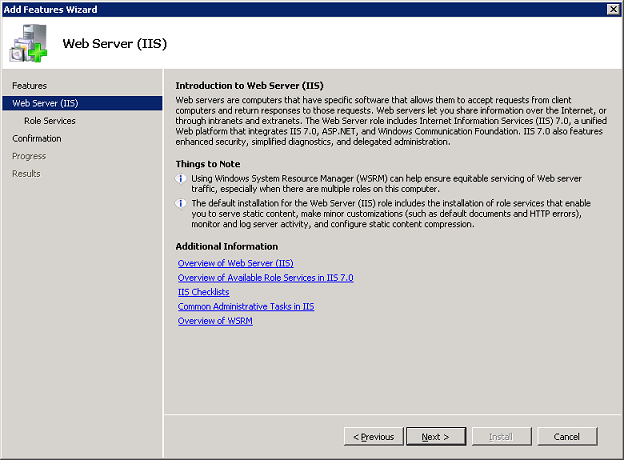 SQL Server 2008 Setup Requires Microsoft .NET Framework. Applies to: Microsoft SQL Server 2008 Standard Edition, Windows Server 2008 R2. 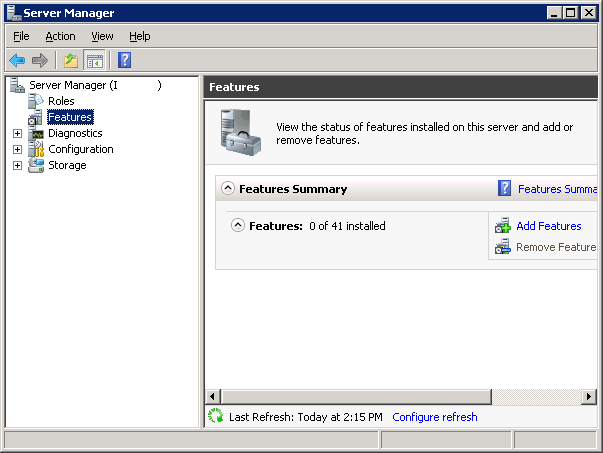 SQL Server 2008 setup requires Microsoft .NET Framework and an updated Windows Installer to be installed. To install these prerequisites and continue with Setup, click Ok. To exit Setup, click Cancel. 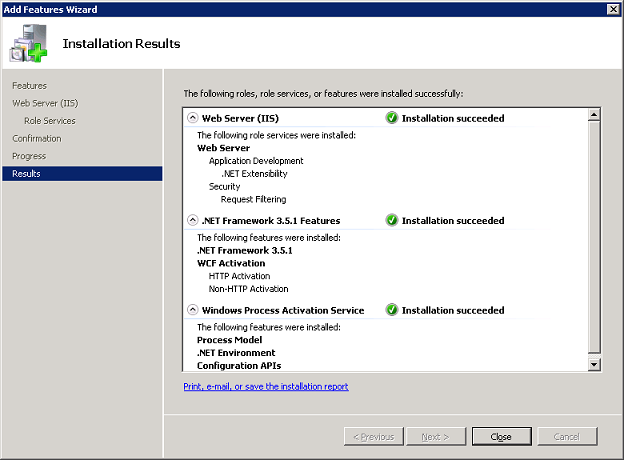 Microsoft .NET Framework 3.5 installation has failed. 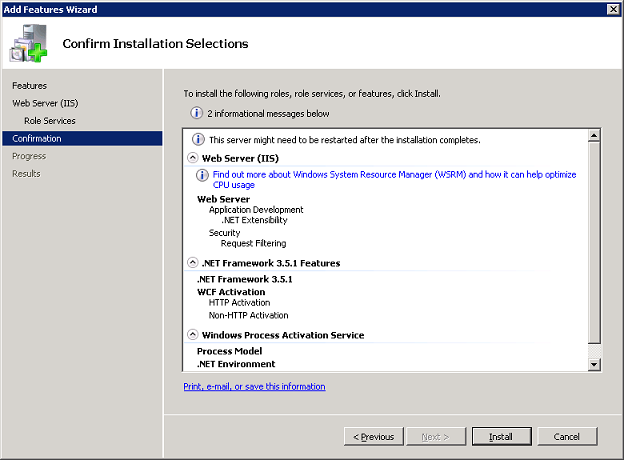 SQL Server 2008 Setup requires .NET Framework 3.5 to be installed. The message "This program has known compatibility issues" is just warning and it means SQL Server 2008 is supported on Windows Server 2008 R2 with SQL Server 2008 SP1 or later installed. After finishing installation of SQL Server 2008, please install SP1 or later on it. All errors messages are associated with .NET Framework 3.5.1 which is a software requirement of SQL Server 2008. .NET Framework was not installed in the computer before attempting to install SQL Server 2008. 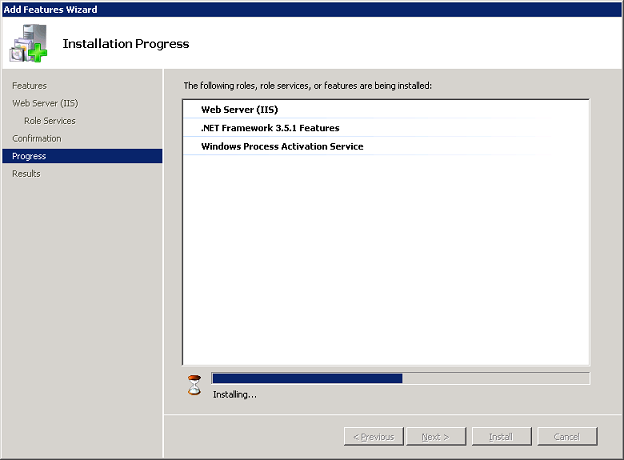 Let's install the .NET Framework 3.5.1 feature on Windows Server 2008 R2 prior to attempt installation of SQL Server 2008 again. Please open Server Manager and click on Features. 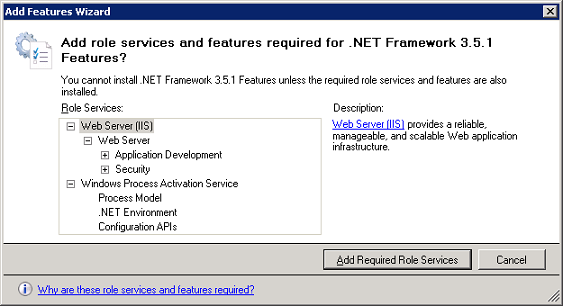 On the "Select Features" page select to install ".NET Framework 3.5.1 Features". 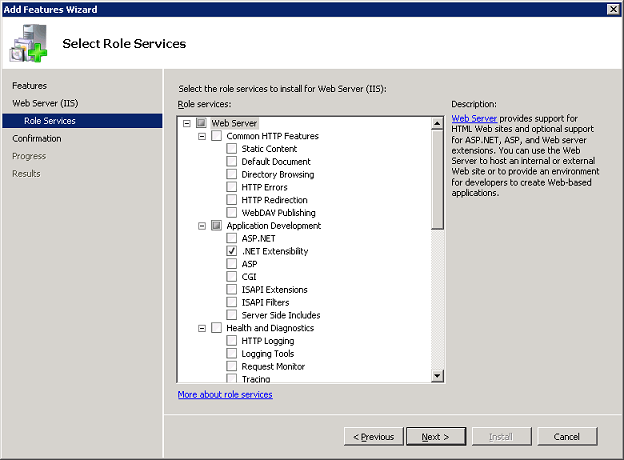 Click on the "Add Required Role Services" button, to accept roles and features that will also be installed. Now, click "Next" on this page. Please make click on "Next" on this informational page. Please click "Install" on this summary. Once installation succeeded, please try to install SQL Server 2008 again.